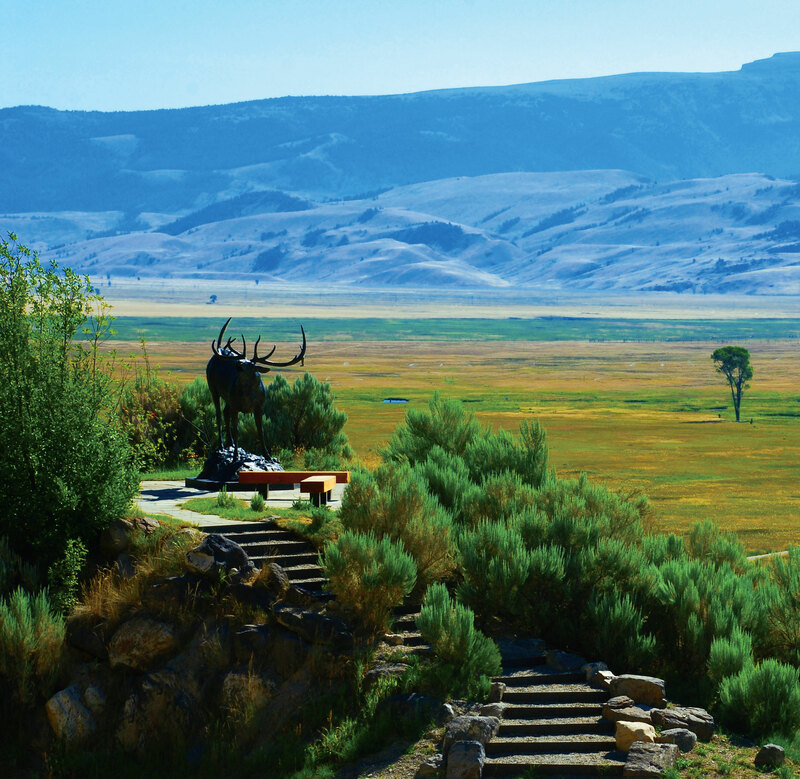 Taking cues from impeccable aesthetics and diligent land planning, Agrostis, Inc. is one of Jackson Hole’s premier landscape architecture firms. Owners Heath Kuszak and Jason Snider established their firm in 2008 to provide a full range of professional landscape architecture and land planning services with distinct attention and focus on client satisfaction. The foundation behind Kuszak and Snider’s professional expertise is integrity and ingenuity. Kuszak’s professional career in Jackson is extensive as he worked at engineering and landscape architecture firms in the area where he provided services from drafting to managing large projects. Tim Shinabarger (United States, b. 1966), Black Timber Bugler, 2007. Bronze. Life-size. Gift of Joy and Tony Greene, National Museum of Wildlife Art. ©Tim Shinabarger. The Agrostis team is committed to helping clients realize a vision and to create spaces that inspire their clients to live outdoors more. They listen to clients and discuss extensively what they want to do before designing and implementing a plan. But once they begin the design process, they are efficient. As a leading Wyoming landscape architecture firm, Agrostis offers top-notch planning services and designs for hardscapes, water features, fireplaces, and fire pits. In addition, Agrostis provides planning and specifications for outdoor kitchens, spas, and pools as well as ponds and streams, other habitat enhancements, and native landscape restoration. Most of Agrostis’ projects to date are residential, but they are open to and interested in public projects. Experts in quality design and problem solving, Kuszak and Snider are especially attuned to the procedures and processes involved in home subdivisions, which have become more complex with stricter codes. Kuszak explains how Jackson Hole is experiencing a surge in “boxy, modern, contemporary, minimal houses,” which are mostly wood and metal construction. “We like to work on those structures because it’s a challenge to incorporate them into the native landscape,” he says. “It involves cleaner lines and harder edges. In traditional homes, there are more loose organic forms in the landscape.” Snider adds that they enjoy working on new construction and working with more contemporary materials or modern interpretations of traditional materials. 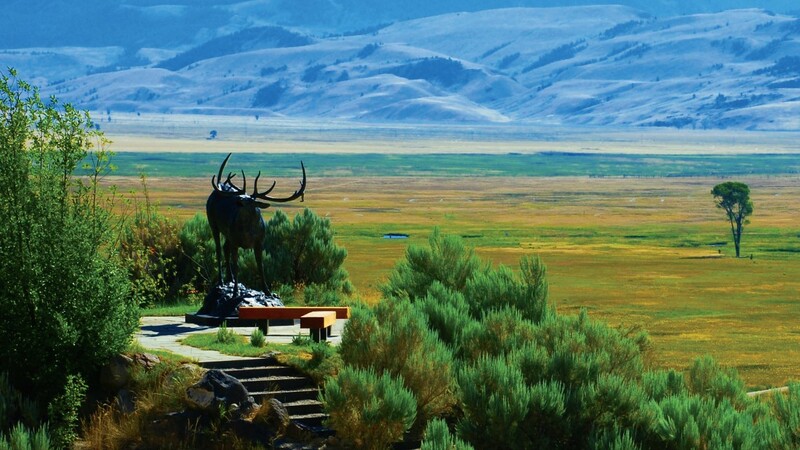 Professionally licensed in Wyoming and Idaho as well as CLARB certified, Agrostis specializes in a broad range of landscape architecture and planning services, as well as site selection, property evaluation, permitting and project management. Agrostis also presents documentation to its clients for all projects through conceptual plans, and construction documentation, and is then diligent about overseeing construction to ensure the integrity of the design—it’s a full service landscape architecture firm with the added benefit of abundant knowledge and experience.